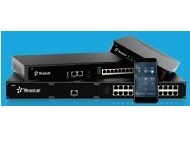 ideal for education, medical, enterprise and on-demand collaboration applications. 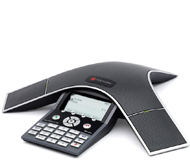 The SoundStation2, Polycom's next generation conference phone, is redefining the standard for businessquality voice conferencing. 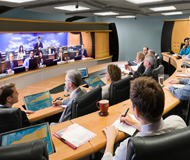 With industry-leading full duplex for natural, simultaneous two-way conversation, the SoundStation2 will exceed your expectations in medium to small conference rooms. 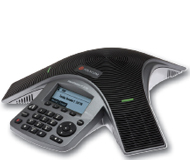 Enterprise-grade IP desktop phones, ready for advanced applications that make voice communications more effective and productive. 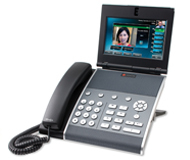 Polycom is the proven leader in standards-based SIP endpoints. 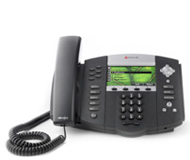 The SoundPoint IP family features the most comprehensive, best-sounding, and the most interoperable high-quality IP phone solutions for small and medium-sized businesses and enterprises. 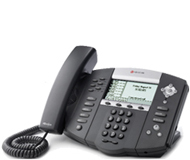 Boasting an enhanced feature set, the VoIPCortex Pro IP PBX is designed for use within large organisations across many industries. 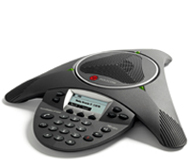 With system wide and extension based call recording included on the system, it is particularly cost effective for those based in finance. 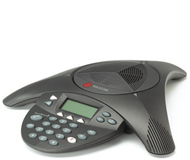 Why buy a phone system when you can buy a Unified Communication Platform? 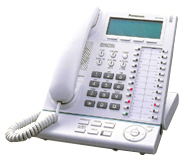 Traditionally phone systems are in a world of its own, closed system, transmit voice only, independent network, locked in by a single vendor, and expensive to maintain. 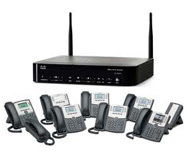 Stocked with IP-PBX features such as inward direct dialing, shared line call appearance, automated attendant and conferencing, Cisco UC320 Communications Solution facilitates a suite of IP business communications for up to 24 users in your company. The human voice is still the best way to communicate. 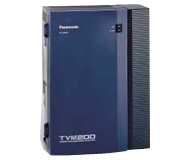 And with the KX-TVM50 and KX-TVM200, Panasonic introduces two feature-packed voice processing systems (VPS) designed for efficient communication. 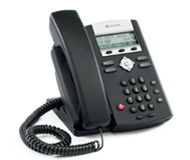 Investment in a telecommunication system requires business communication foresight. Businesses need to be able to effectively communicate today - yet want to make sure that they are properly equipped to handle the growing demands of their future communication needs. 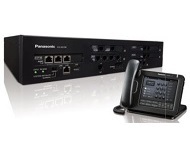 The Panasonic Hybrid IP-PBX TDA systems combine the advantages of traditional telecommunications with the convergence of IP technology offering maximum feature and functional flexibility to handle all your business communication needs - Today and in the Future. 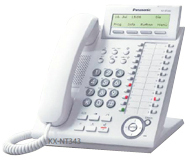 The Panasonic KX-TDE Pure IP PBX series are advanced communication platforms for IP networking environments. 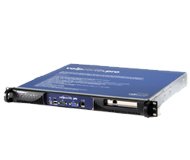 Supporting network as well as desktop SIP connectivity, the convergence ready KX-TDE supports a range of advanced IP telephones as well as digital extensions and ISDN trunks. 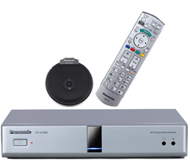 The Panasonic KX-NS700 Smart Hybrid PBX is a cost effective legacy and IP communication system for small and medium sized companies that can be flexibly configured and expanded according to the your needs. 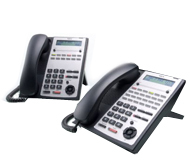 SL1000 is an intelligent cost-effective telecommunication system that packs affordability, efficiency, IP-telephony and ecology all into one, and is equipped with the capabilities to adapt to functions for immediate or emerging business needs. 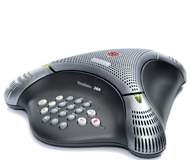 The SV8100 is a unique communication solution for up to 500 users. 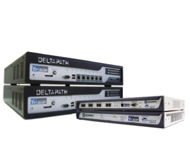 It's expandability means it can work at any level, from a technically superb phone system, to a truly advanced unified communications system. 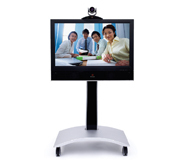 Collaborate in real time, in stunning HD! 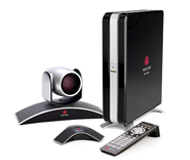 With Full HD video and Full Duplex audio over a standard Internet connection, this compact, easy-to-use, interoperable system is changing the face of business meetings. 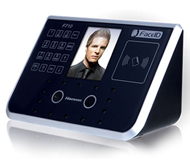 F710 is an embedded facial recognition system with leading “Dual Sensor™” Facial Recognition Algorithm, which applied for time attendance and access control application. Its classic slope design is good for commercial market like Enterprise, Bank, building automation and so on. A big-screen SHARP display can make a big difference in getting your message across. 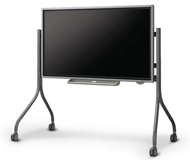 80-inch / 70-inch / 60-inch high-resolution display provide maximum satisfaction both to the user and the viewer. Whether installed in a boardroom, sales floor, lobby or auditorium, the SHARP touch panel delivers your message with greater impact. 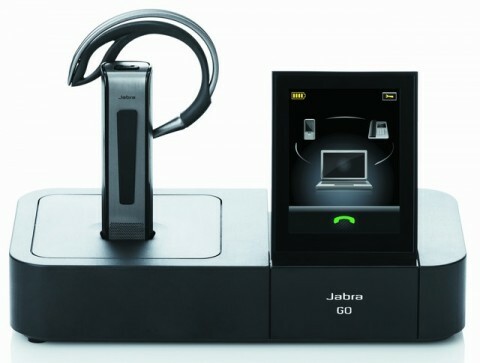 Jabra headsets give you quality you can count on: crystal clear audio, superior noise cancellation, all day comfort and durable design.